Most PSAs we saw as children sought to make us anti-social douchebags who are afraid of everything that moves. Here are the 9 worst and most off-putting PSAs targeted at children. GI Joe doesn't count because those actually taught us all what "knowing" is. When you're making a PSA, the items listed here should be a guide of what NOT to do when you're making a Public Service Announcement. What are the worst PSA for kids? Well any type of announcement warning about sexually transmitted diseases, and yes, having Pee-Wee Herman talking about crack, aren't exactly good ideas. What kid wants to hear about crack, nevertheless knows what is? Exactly. I believe this commercial is David Lynch's influence for everything. EVERYTHING. He-Man wants to talk to you about not letting people touch you "that way." Which way is "that way"? And why don't I trust a man who is so muscled and large when he's trying to tell me something important? For an adult, this thing is so awkward it hurts. 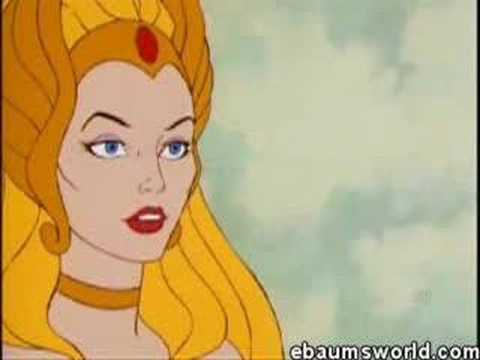 But trust me, any kid growing up with this show likely didn't understand the meaning of being touched in "that way", and hoped to God both He-Man and She-Ra would touch them. We always want our heroes to touch us. Ever tried drugs? Drugs from a puppet? A puppet with crazy, terrifying eyes?! 0:19 Elvis, Jim Morrison, John Belushi, girls snorting coke, and I think a subliminal picture of an angel... I'm not sure if they're trying to persuade our kids out of doing drugs or if they're trying to make them 80's rock stars. 00:21 Skip to 21 seconds in for when the puppets decide it's not worth the time to do drugs... then... for no reason... the most terrifying eyes you will ever see on a puppet. Out of nowhere. This probably convinced kids out of watching TV alone in the dark more than it did out of drugs. 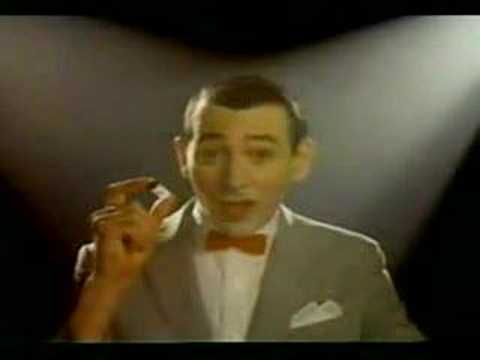 Pee Wee Herman tells us not to do crack cocaine. Every time we use it, we risk dying. It might make you cool if you use it, but it'll kill you. The zinger is the pun, "But doing it with crack isn't just wrong...it could be dead wrong." ZING! For little ones, this is pretty sure fire. A straight shot of one of our television personalities giving us the low down on crack. Awesome. Crack = Not just wrong, but DEAD wrong, kids... meaning you will die. Get it? See what Pee Wee did there? Is that securely locked in there? Should we make another death pun? Cause we CAN! No? Good.